You are here: Virgin Islands News Online » News » Historic wooden sloop tossed in garbage, never to return! Historic wooden sloop tossed in garbage, never to return! 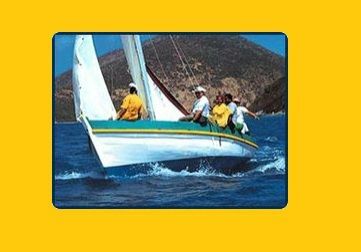 PARAQUITA BAY, Tortola, VI- It was our newsroom that first and accurately reported in our April 1, 2018 article that a 25-foot wooden sloop named Vigilant that some historians at the H. Lavity Stoutt Community College claimed to be the oldest wooden boat in the Caribbean was sent to the trash. College interim President Dr Janet B. Smith confirmed our story when last week she told selective members of the press that indeed the sloop Vigilant was lost in clear up efforts. 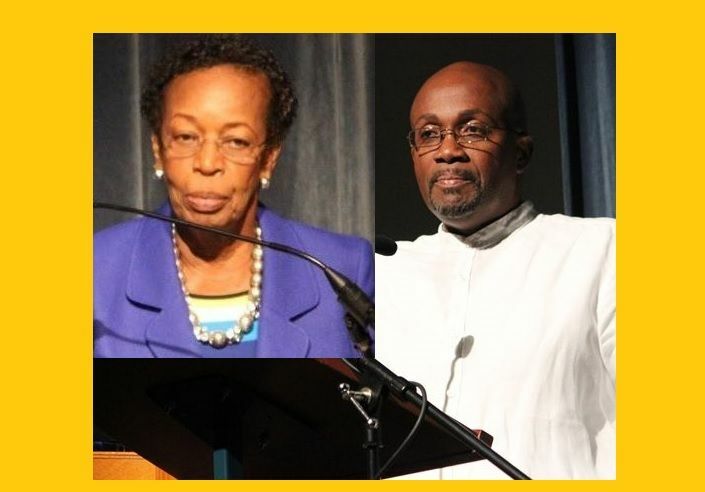 She blamed Dr Angel Smith who has been appointed by College Board Chairman Dr Charles H. Wheatley, to head the college recovery and clean-up efforts, and he reports to Wheatley’s select committee which Dr Janet B. Smith also sits on. Because the new assignment is a full time job that involves clean-ups, repairs, and oversight of construction works, Dr Angel Smith has temporally relinquished his post as Director of the Virgin Islands (VI) Studies Institute. Dr Katherine Smith, the daughter of Premier Dr The Honourable D. Orlando Smith (AL), has been named the Acting Director of the VI Studies Programme. Two college sources familiar with the issue told our newsroom that Dr Angel Smith informed the committee about his plans to clean up the area at the Applied Marine Science where the sloop was for months in ruins following Hurricane Irma of September 6, 2017. However, no one at the time raised the issue of trying to secure and salvage what was left of the wooden boat, which, if you believe the history, was built in 1882 by a William Penn of East End on Tortola. A host of people appear to be upset over the never to return boat; however, Governments (both NDP & VIP) over the years have done zero to restore it, or even properly fund the college or culture in the Territory in general. It is unclear if anything will be done to secure the other historical artifacts at the college. Over the years, the higher education institution’s development has declined and has been filled with confusion and cut backs in many areas, along with an exodus of local faculty members. The heart of the challenge has been a lack of adequate funding from central Government. Notwithstanding, for sure the Vigilant, the historical wooden boat, is gone forever as debate on what happened continues in a small circle at the institution founded in 1990. Dr Angel Smith, when reached by our newsroom yesterday, April 7, 2018, declined to comment. Please, have some respect. If in fact her position were filled by a foreigner then you'd have a hissy fit about why locals aren't being hired. Old or not she is an excellent as well as a highly educated person. What, may I ask is your contribution to the country, not to mention your level of education? Great education doesn't make someone a great leader. With certainty you should be gone from among the earth and it's inhabitants long before you are fortunate to become old. Your ageism serves no purpose to humanity and highlights the empty cavity which houses your eyes and nostrils. Than ANY Black person? Really!!??. You must be coming out a comic book. Down in Sea Cows Bay there was this boat named the Riendeer. It sat out in the bay until it sank. There was a lot of history behind the Reindeer and it should have been restored not sank and forgotten. @Historic, yes there was a lot of history behind that boat. Correct me if I am wrong but it was owned and operated by the late Owen Smith. How could he? I thought that he was the great historian? Key word is was, he should have let an expert look at the boat before deciding it was junk. Now a priceless part of our history is gone forever. I agree good thing two have gone! Impulsive ... No value placed on important pieces , just as no value placed on the citizens by the government . The BVI history is a powerful history some of it more powerful than any people in the world but it has been shrouded with lies and deceit which includes the history of Land ownership among other things. As much as we hate to admitted whites are not the only people that rewrite history everybody does it when it suits them. I doubt Mr Smith is to be blame for this really. And I doubt the powers that rule the college and the land are losing any sleep about this. That lady running the college now is old yes but can do a lot more work than most of those who also have PhD to their name.Asked some of the staff members what have they done for the past two yrs and am sure they would be trying to find the work with a microscope. All some do is complaining,goes to work for 10:30 And by 3 pm they are gone and please take note that these same workers have to take lunch for 12.lol..So they only walk from office to office to find who doing nothing to gossip with them.How do these people feel to be collecting a monthly salary fraudulently. My gosh this is what the minister responsible for the college needs to know instead of listening to these non performing and lazy people.That old lady need to be at that college for another 18 months and am sure the ones who Don t want to work buy only want to collect a salary would surely disappear and the good people,the good workers would stay. The minister responsible should asked some of them with PhD what do they do ,what can they show for a days work.Vino that's a good project to investigate .some would run and hide.The president before had the same problem but they would run to the same minister.They doing the same now but this president was hired to do a job and that's what she is doing.Amd the sloop a few yrs ago needed 40 to 50 thousand dollars to be restored how much do you think it would cost now to restore after Irma. They can't even find money to pay the good workers is a sloop they going to find money to fix.think again.dont make a storm out of a coffee cup. This seems to be a battle among the Smiths. History yes or not the boat could have been restored.It is not too late if anything is left of it it can be restored. can someone do a visual of it and do a replica? Arguing wont help but doing something about it will. Your idea makes sense but the Angel is not saying who took the sloop from its storage neither is he saying where. His lips are buttoned. Not even a statement. Well there has been cases where valuable museum pieces have disappeared and resurfaced many years later for a hefty price. A shame but how about showing the same passion for relics that we can still recover, the sugar mill at Brewers, Fort Charlotte to name but a few that wil a little bit of clearing would be awesome historical sites. I have no problem with restoration and historical sites etc that is up my field as I am now working on an extension of a project I did on a historical site a few years ago. Many of us comment but to work on such we need to be paid and all that I have volunteered and continue to do so.Thanks be to God for his inspiration guide and service to my life. The current leader of the Opposition who served as cultural minister for several years and preserved zilch in his district. The wells the zion hill Church,the ruins of forts. He did build a basketball court which has nothing to do with our cultural pastime deforest and other ways damaged he shoreline closed drainage to the ponds all while dumbing the children systematically via his " good to great program. This looks not so good for the college accreditation. The Reindeer was originally owned by Owen’s father known as Jimma ,it was passed down through the generations. I had no idea that it remained in the bay until it sank. My father who was Owen’s son and once her captain passed three years ago. Sadly this history too is lost. I read the article in the beacon last week. It needed about 50,000 to fix it in 2016. How much would it have cost after the hurricane damage? The college can't pay salaries and owe every business in town. The self hatred demonstrated by many is detrimental to VI cultural history and its preservation. Actions speak louder than words .This incident is proof positive as it was committed by someone who talks but cannot fully walk the walk. The Vigilante was taken early one Sunday.morning and shipped to parts unknown. The Angel ,not in Church that Sunday as he is customarily,and and with the college campus void of officials and other employees and students, officially attended solely to it's departure for whereabouts unknown to everyone but ... that's my report. Your grandchildren will again have the pleasure of it's company when it is donated, with profit by a " wealthy" benefactor. End of my report. I very much doubt that one piece of that boat was from the 1800s! In order to preserve something like that, I would think, it would have had to be placed in a controlled environment. Not from today, but from way, way back when. The college is something that should be preserved, don't you think? Be careful what you seek to preserve as history. Irma and Maria had their way. Much to do about nothing!!! There is a boat at HLSCC marine name Dina with no history attached. Just accepted from infront of Dina house while the eastern boat builders get full kudos. The historians need to do their proper jobs. yall really have the audacity to put forward that the Lady is wrong?! SHE IS ONLY LOOKING OUT FOR THE CULTURE THAT MOST OF YALL SMALL MINDED PEOPLE HAVE FORGOTTEN. If you guys was about culture, you would be typing these out of place comments. Even the guy in the article, asking "where were these sympathisers and over night history lovers..." OUT OF PLACEEEEE! please get yall act together.